The best acne products for the face, neck, chest, and back are available today. These areas are most likely to get acne, but the face gets it the worse. The hair follicles, called pores, produce too much oil and the pores become clogged with that oil known as sebum. It usually drains to the skin surface, becomes trapped, and then bacteria start to grow. Acne can produce lesions when starting called microcomedone. Micro means small and comedo is the clogged hair follicle (pore). Keratin is skin debris that mixes with the oil to cause the comedo to be open known as a blackhead or be closed as a whitehead with or without acne. Therefore, the bump has the plug of sebum with dead skin. For more about acne, check it out here. If you have acute or chronic acne, it is best treated with a prescription from your dermatologist. 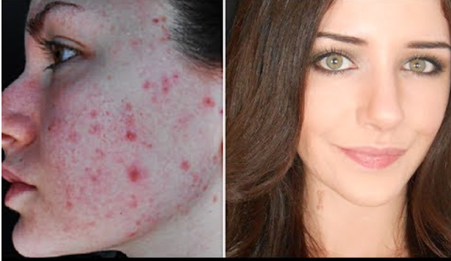 Hormonal acne medication is helped by the products listed here. Contrary to what some think, chocolate does not cause acne nor do fatty foods. However, lots of sugar with a high fat diet can cause sebum, the oil in the glands, to encourage your body’s inflammatory effects in all of your body that can spearhead acne. People eating a sugary and fatty diet tend to have more acne outbreaks than their counterparts eating a diet high in fresh vegetables, fruits, and grains. Drinking water is very important to rid your body and blood stream of toxins passed through urination. What Your Acne Says about Your Health from USA TV show, The Doctors video. Retinal from vitamin A is used for acne. Read our buying guide and acne product reviews for acne help below for all skin types. These products are good for women, men, and teenagers. The number sometimes used in the product reviews below is the Amazon Standard Identification Number (ASIN), a 10-character alphanumeric unique identifier assigned by Amazon.com and its partners for product identification within the Amazon organization. You will see it under Product Details, usually on the middle left side. The Buena Skin Cosmeceuticals, item model number 5117-BS-LAS on Amazon.com®, is a best-selling product for teenagers, women, and men too, for many good reasons. It will exfoliate dead skin, detoxify your skin, and reduce pore size to help eliminate pimples and acne. It is great for all skin types and all ages—and it’s affordable! Stop oil from building up in your pores and reduce skin wrinkles as well to eliminate acne naturally. This is one of my favorites in mud masks. The mask removes blackheads and pimples on face, shrinks pores to keep dirt, pollutants, and toxins out. By keeping excess oil off your skin, acne, oily skin, dry skin, aging skin, and all the dead skin will be exfoliated so that you have healthy skin with a youthful radiance. The minerals in the jar are highly concentrated to increase circulation to your face and all of your body where you put it. Nutrients travel in the blood with oxygen much needed for a great face and skin anywhere on your body. Read the full list of ingredients on Amazon. Hyaluronic acid is natural with antioxidant components. It increases face and body moisture where it’s applied hydrating your skin to be gorgeous. It plumps your skin for a more supple and flexible skin tone. The acid helps dry sensitive skin by increasing blood flow through stimulation. It even helps with fine lines, wrinkles around eyes, and imperfections. Your face will not have that oily shine because the mud removes the overabundance of oil responsible for acne and pimples. All you need to do is spread over your clean face and/or body. Never get the mud close to your lips or eyes. Let it stay on 15- to 20-minutes until it’s dry then remove it with warm water on your wash cloth and apply your favorite moisturizer if you need or want it. Use the mud mask several times each week for best results. For all of us animal lovers, and we are many, the mud mask has not been tested on them. If your pimples come up the next day, that’s a good thing; it’s getting rid of the excess oils and toxins in your oil glands. FDA (USA Food and Drug Administration) statement: The statements herein have not been evaluated by the food and drug administration. This product is not intended to diagnose, mitigate, treat, cure, or prevent any disease. Gift-wrapping is available for your friends and loved ones. The country of origin for Dead Sea Mud is Israel and shipped from the USA. The Body Merry cream, ASIN B00OQQLNG4 on Amazon.com®, is a top selling best acne product for most skin types and anyone looking to reduce lines, wrinkles, acne, or scars on their face. It is an excellent non-greasy night cream or used periodically throughout the week, alongside of a more regular facial moisturizer. For me, I like it for my smiles lines around my eyes. Retinol, also known as Vitamin A1, is a vitamin found in food. In this cream, it helps with aging on the face to reduce wrinkles, discoloration, to give you glowing skin that is well hydrated with moisture to be smoother. With the retinol you will have more moisture to ward off unwanted acne, blackheads, pimples, and those brown age spots from years in the sun. The moisturizer gives you the ideal cream to control unwanted clogged pores while benefiting your skin with nutrients. The hyaluronic acid is natural with antioxidant components. You can check the ingredients list on Amazon. Apply on your face and neck acne after cleansing and toning. If using a serum, apply the serum before the moisturizer. You can use it under makeup. It’s good for normal to oily skin to be used morning and night. For dry or sensitive skin, use only at night. Apply sunscreen if going out in the sun. If you are a first time retinol user, apply once every other night until your skin is ready to use it daily. Using retinol the first few times dried my skin a bit and using a moisturizer helped that. Caution: For external use only. Avoid contact with eyes and close to lips. If skin sensitivity occurs or if you suspect you are having an allergic reaction, stop using it and consult your doctor. Keep out of reach of children and animals. If you are pregnant, consult your doctor before using. For all of us animal and reptile lovers, and we are many, the Merry Retinol Surge cream has not been tested on them. The moisturizer is made in the USA in an FDA (Food and Drug Administration)-registered and GMP (Good Manufacturing Practices) compliant facility. The formula does not contain any harsh chemicals such as parabens, sulphates or phthalates. If you are not 100% satisfied with your product, you will have a 90-day 100% HAPPINESS GUARANTEE that applies to any and all Body Merry products purchased from Amazon.com. 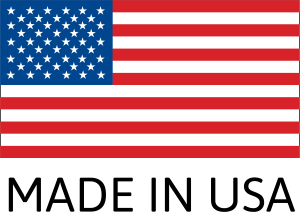 We love products made proudly in the USA and Body Merry is made here, not China! Body Merry Retinol Surge Moisturizer video. The BaeBody Beauty Dead Sea Mud Mask for Acne, ASIN B01N2OT7PE on Amazon.com®, is a best-selling mud mask to reduce blackheads, pimples, oily skin, closing pores and diminishing wrinkles for overall beauty. Put it on your entire body too! I like this Dead Sea mud mask for the my skin loves. The Dead Sea mud attacks acne, pimples, blackheads and all those oil filled glands on your face, chest, and sometimes on your back. I get some zits on my back shoulders that I cannot see to check closely, so the mud gets rid of them. Detox and exfoliate your skin for a youthful appearance with no shine. You will indeed have a spa-like experience using the ingredients in the black jar, a best acne medication. Dead Sea Minerals: Deeply moisturizes, stimulates circulation, detoxifies, and softens the skin. Shea Butter: Rich in vitamins A and E to help protect against the sun, aid in collagen production, and moisturize. Aloe Vera: Gel from the aloe Vera plant helps heal, calm, and soften the skin. Aloe Vera from the plant itself, soothes sunburn. The full ingredient list is shown on Amazon with the things I love most of, Deionized water, Dead Sea mud, kaolin, shea butter, sunflower oil, aloe Vera juice, vegetable glycerin, jojoba oil, hickory bark extract, calendula oil, xanthan gum. The minerals and natural silica remove toxins and oil so that your skin feels clean and refreshed. The mud removes dead skin cells and dirt. It will enhance your blood circulation for more nutrients and oxygen at your skin. Your skin tone and texture will never be shiny or greasy looking. With a thick, creamy texture that glides and gently adheres to your face or body, this mud mask delivers a pleasant cooling sensation when first applied. Completely clean your face then apply a thin layer of mud mask avoiding the lip and eye areas. Leave the mask on for 10- to 15-minutes until dry. Use warm water in a circular motion to gently remove the mask. Pat dry with a clean cloth. For best results, use 1 to 2 times each week. BaeBody Beauty is manufactured in the United States in an FDA (Food and Drug Administration)-registered and GMP (Good Manufacturing Practices) compliant facility. The mud mask is cruelty free and not tested on animals. It is safe for all skin types, with no fillers, harmful fragrances, dyes, or parabens. Your satisfaction is guaranteed and if you have any problems, just let the customer service team know and your problem will be fixed, or you will be offered a refund. The mud is from the Dead Sea in Israel and is bottled in the USA. The Proactiv® 3-Step is the first Combination Therapy® system that started a skincare transformation! 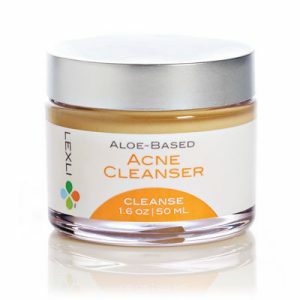 It is formulated for those predisposed to acne. The ingredient, benzoyl peroxide gets into your pores to support and stop the bacteria in the pores that causes acne. This hinders more bacteria from starting. The item model number 90DAY on Amazon.com® is a good selling product. The treatment will not clog pores because it is non-comedogenic and is dermatologist tested. The Proactiv® Revitalizing Toner has no alcohol having glycolic acid to rid excess oil and soften your skin. Also included is the Proactiv® Refining Mask with sulfur to reduce pores and remove toxins. Sulfur is beneficial for psoriasis and severe skin disorders. Sulfur is used to get rid of fungal infections in animals as well. With the Proactiv® Green Tea Moisturizer that is light on your skin, it is oil-free, and non-greasy and is the ideal moisturizer for acne-prone skin. Proactiv® is a best teenage acne treatment. Read more about teenage acne skin care here. Use the 3-step system two times each day for about 15- to 20-minutes each time, rise, and pat your skin dry. Each step in the Proactiv® 3-Step System is designed to work synergistically with the others to combat acne and get you the clear skin you deserve. Remember that acne has no cure; however, you can manage it, especially if you use Proactiv® as directed. Vitamin E—protects from free radicals as an antioxidant for nourishing skin. Vitamin F Complex—is Omega-3 and Omega-6 to keep moisture in your skin. Tea Tree Oil—nature’s plant for essential oil having antiseptic and antioxidant cleaning components. Lemongrass/Geranium—are oils from nature’s plants for conditioning your skin. Read about the inactive ingredients on Amazon. It does have tea tree oil and I like that one! 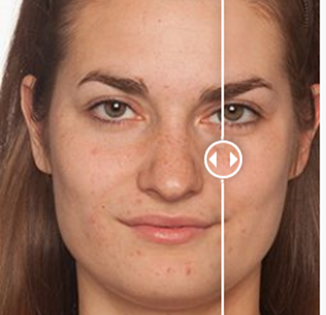 Before Proactiv®, left and after Proactiv® on right. How to Use the Proactiv®+ 3-Step System video. Proactiv® Doctors - How Proactiv® Works video. The LilyAna Naturals cream is 2.5% retinol, ASIN B01ES349CY, that is a best-selling acne product on Amazon.com®. The superior retin in the cream will not dry out your face skin. 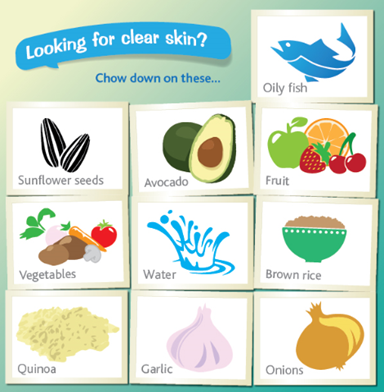 With the maximum amount of retinal without a prescription, your skin will not peel or flake. This product is very good for acne. It contains the best ingredients for acne, pimples, blackheads, wrinkles, and lines for everyone with all types of skin whether normal, dry, or oily. The ingredients are hyaluronic acid, vitamin E, green tea, shae butter and jojoba oil that fight the bacteria in acne. Your skin will have no oil left on it, and improve for an even skin tone, with a better skin life. This cream will absorb quickly never feeling sticky or heavy. It is gentle for sensitive skin users and can be used around your eyes to help with lower lid bags to tighten, and remove dark circles. It will help fade any scars, will not cause breakouts, and will get rid of age spots from the sun. The fragrance is light and nice smelling with no parabens or gluten. Check the full ingredient list on Amazon that has retinol and hyaluronic acid the foremost components for helping acne. Shea butter is a great moisturizer and of course, Vitamins B5 and E are beneficial and are in the foods we eat. Of course, aloe Vera leaf juice is healing in itself. This retinol cream can be used both morning and night. Apply a small amount on your face, eyes, and neck after cleansing. If the product causes initial dryness, alternate days with a facial moisturizer without retinol. Sensitive skin types may want to gradually incorporate this retinol cream into their skincare regimen, beginning by using it every other day. Always wear sunscreen outdoors because retinol increases sun sensitivity. I find that I am more sensitive to the sun, so always us a high SPF sunscreen, especially on my face. 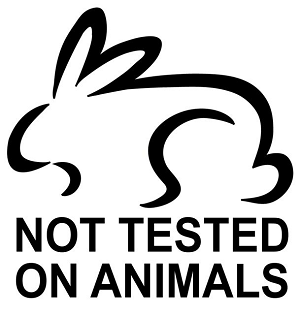 LilyAna Naturals Retinol Cream is not tested on animals and is made in the USA. LilyAna is 100% Guaranteed; if you are not completely satisfied you will receive a full refund, no questions asked! The Radha Beauty cream, item model number Retinol on Amazon.com® is a best seller for acne and other skin conditions such as pimples and blackheads all caused by overactive oil glands. The creams will enhance the production of natural collagen for ridding the dead skin cells to also treat over pigmentation of your skin. The retinal is 2.5% for your natural acne treatment. Combined with a mixture of vitamin E, organic aloe Vera, green tea, jojoba oil, and shea butter, this formula helps to deeply moisturize dehydrated skin and strengthen skin cells against premature aging and environmental toxins. Experience long-lasting hydration, a smoother complexion with smaller pores with a youthful, radiant glow. Radha Beauty for your home acne treatment is safe for all skin types, free of fillers, harmful fragrances, dyes, or parabens. It does have green tea, but not tea tree oil. The ingredient list on Amazon shows it is made with organic aloe Vera that we all love and vitamins E and B5. Gift-wrapping is available for someone you know who needs help from acne and has face issues. You will receive a 100% money-back Guarantee. If you are not 100% satisfied, you will receive a full refund while giving you the product as a gift to you from Radha Beauty. The cream is made in the USA and not tested on animals. Radha Beauty Retinol Moisturizer video. The TruSkin Naturals, ASIN B01M4MCUAF on Amazon.com®, is a top best seller in a professional formulation serum for acne, reducing aging with 20% vitamin C and hyaluronic acid. It is a powerful serum for acne, aging lines, wrinkles, and brown age spots due to sun exposure. With the ingredients, it helps to enhance collagen production for adult acne treatment. This is truly a great product with super ingredients. See yourself with smooth skin, smaller pores to avoid breakouts of pimple, blackheads, and pimples as attested to by buyers. Scarring from acne will be lessened as well for a radiant glowing complexion. The serum for acne treatment is manufactured in an FDA approved facility using only natural organic products with no chemicals or artificial anything so it’s gentle on sensitive skin, and it has no smell. Dermatologists recommend using vitamin C, but the prescribing types are very expensive and this does the same beneficial things. This Vitamin C Serum is created from the finest organic and natural ingredients and is certified to be parabens-, phthalate-, GMO-, and fragrance-free. It is pH balanced for your skin and is 98% natural, 72% organic, 100% vegetarian, and 100% cruelty-free never tested on animals. Gift-wrapping is available for someone you know who needs help from acne and has face issues. You will receive a 100% money-back Guarantee. If you are not 100% satisfied, a full refund will be given within 3-months and you don’t need to return the serum bottle. The serum is made in the USA and not tested on animals. The best organic Vitamin C Serum for face with hyaluronic acid video. This product addresses not only one but multiple factors that cause acne, making it effective in getting to the root causes of the problem. It prevents excess oil production to combat acne breakouts while also minimizing the blemishes that are already present on the skin. The main ingredient in this product is the pharmaceutical-grade and natural aloe vera. It has anti-inflammatory properties, making it great for combatting acne. It removes the excess sebum on the surface of the skin and eliminates bacteria that can cause acne. With the advanced formulation of this cleanser, this can help balance the level of sebum. Shine will be reduced and congestion of the pores will be eliminated. It also refines the pores and calms the inflammation. The outcome will be glowing and smoother skin that is free of acne breakouts. This is because of the potent ingredients that are used in the product. Despite the latter, however, you can be confident that it won’t cause skin dryness. When you are thinking of purchasing the best products for acne, be sure to browse this site for the best products and the best deals. Read customer reviews and you will locate the best product for your best skin health. Always read the warnings if you have any health conditions that would prevent you from using specific products or ingredients for acne help. Come back often to read our websites and always leave a message, question, or comment. For your skin concerns, read more here. Be well and be happy!